The hull is GRP over cold moulded wood. See the pictures as evidence of the quality of work. The finish is Two Pack. Standard Horizon Chart Plotter, Echo Pilot forward seeking radar with depth indication. 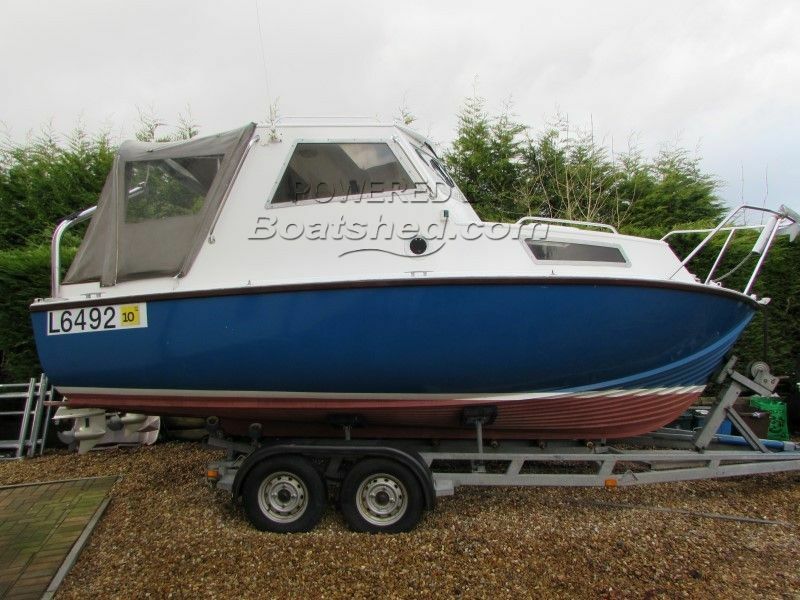 Looking for something unique, a boat that no one else has? Then look no further. After retiring from designing lifeboats the original owner was unable to acquire one of his own designed boats. He designed and had this boat meticulously built by The International Boat Training College in Lowestoft. In 1982 he was awarded the Design Council Award in recognition of his contribution to lifeboat design. During his career he pioneered work on fast motor craft, designing the Westcraft Watson range and offshore racers such as Big Moose and Iolair. Take a look at the pictures of this boat under construction and you will see the quality of the build of this 2006 boat. As you would expect she has proven herself in some of Scotland's West Coast's most challenging conditions. She is well equipped for both inshore and coastal day cruising or an overnight excursion. Her twin Honda outboards contribute to her appeal and safety due to the dual systems for fuel storage and delivery as well as dual engine electrics. This One-Off Day Cruiser has been personally photographed and viewed by Martin Docherty of Boatshed Scotland. Click here for contact details. Where is this boat currently located in West Coast Scotland? What's the approx range on a full tank at cruising speed of 15 knots?